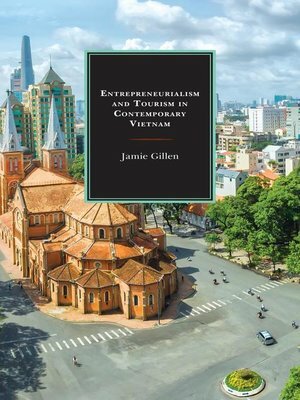 Entrepreneurialism and Tourism in Contemporary Vietnam examines the intersection of entrepreneurialism and the tourism industry in modern-day Vietnam and uses case studies from tourism operators in Ho Chi Minh City to understand the effects of market reforms on Vietnam's society. The primary argument undertaken in this study is that in order to understand changes to the Vietnamese economy, one must take an approach that combines the "cultural" with the "economic." The tourism case studies presented here collectively demonstrate that there is no easy analytic distinction between the cultural and economic dimensions of the Vietnamese tourism industry. The empirical material is primarily drawn from interviews with private tour operators and participant observation on tours. This book also examines the collaboration between the private sector and the Vietnamese government in the tourism industry. These coordinative entrepreneurial relationships between two unlikely bedfellows are shaped by the interpersonal exchanges that produce the tourism cultural-economy. Lastly, there are links between entrepreneurialism, tourism, and other case studies in urban Southeast Asia illustrated in the conclusion. Jamie Gillen is assistant professor of geography at the National University of Singapore.